MAXIM® Apex is the workhorse of the MAXIM product line. 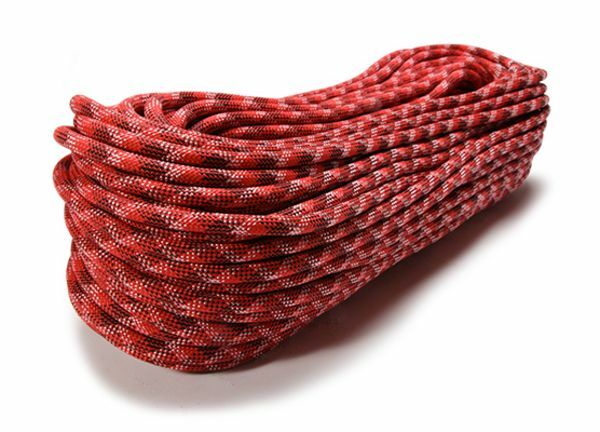 Designed for top rope, big wall, trad climbing or for working projects and developing routes, this traditional pattern climbing rope meets the mark of high performance and a high UIAA fall rating. The Apex is designed to perform at the highest level. Whether for top rope, big wall, trad climbing or for working projects and developing routes, it convinces with high performance and offers high UIAA fall rating. Apex is also an excellent rope for challenge courses and fall protection for safety personnel. It consistently performs across many climbing conditions and still delivers reliable clips All Apex ropes feature our Endura DRY treatment on the core. Select models are 2x-DRY, which adds an Endura DRY cover for the ultimate dry protection and satisfies the UIAA standard for dry treatment. Apex ropes are certified to EN 892 and UIAA 101. Apex stands for excellent durability and maximum fall protection. MAXIM Apex ropes are designed to provide optimum life safety on the one hand and on the other hand they are the right partner to make climbers push past their own personal limits. Apex provides the long life and safety assurance you have come to expect from MAXIM dynamic ropes.